When I first began to observe Meatless Monday, I found myself serving a lot of pasta dishes. Pasta with red sauce, white sauce, lasagna, mac and cheese -- all with veggies too, of course, but I wasn't quite registering other accompaniments than pasta. The more I tired of pasta, the more adventurous I became, sampling whole grains. Today I thought I would share with you some of the more popular grains in case, like me, you're attempting to branch out a bit. Grains are the seed-bearing fruits of grasses. Whole, unrefined, grains are great sources of nutrients like soluble fiber, Vitamin E, Vitamin B6, Zinc, Potassium, Folate, protein, Iron, Thiamin and Riboflavin. Technically speaking, some of the popular grains like buckwheat, quinoa and amaranth not actually grains, but fruits. They're usually included with the grain group though. Quinoa and buckwheat also have an edge over other grains because they're low in fat, sodium and calories but high in fiber, micro-nutrients and minerals like potassium, iron, zinc, calcium, riboflavin and B vitamins. All grains are low in fat and contain no cholesterol. They're also low in sodium, unless added during cooking, and have between 5 and 10 grams of protein per cup. 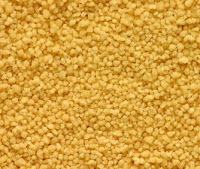 Couscous is a grain product made from semolina or, in some regions, from coarsely ground barley or pearl millet. It's not very flavorful, so couscous dishes are usually made with flavored stocks and spices, vegetables, dried fruits or nuts. I had an amazing couscous dish at a picnic over the weekend with almond slivers, diced apricots and sliced kalamata olives. Amaranth is an extremely versatile plant. 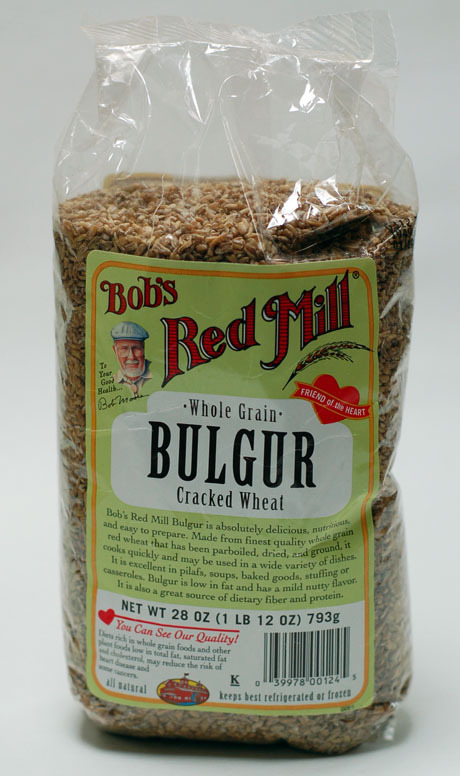 It can be cooked as a cereal, ground into flour, popped like popcorn, sprouted, or toasted. The seeds can be cooked with other whole grains, added to stir-fry or to soups and stews as a nutrient dense thickening agent. It resists heat and drought, has no major disease problems, and is among the easiest of plants to grow. (Source) Recipeland.com has a variety of recipes using Amaranth from stew to banana bread. Quinoa comes from the Andes Mountains of South America. It was one of three staple foods, along with corn and potatoes, of the ancient Inca civilization. It's often called the "Supergrain of the Future." 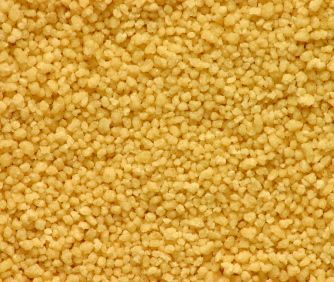 Quinoa should be well rinsed before cooking to remove the saponens, a natural, protective coating which will give a bitter flavor if not rinsed off. Barley has a nutty flavor, chewy texture and adds fiber to both hot and cold dishes. Barley is an excellent food choice for those concerned with type 2 diabetes because the grain contains essential vitamins and minerals and is an excellent source of dietary fiber, particularly beta-glucan soluble fiber which promotes healthy blood sugar by slowing glucose absorption. (Source) BarleyFoods has an extensive list of barley recipes from main dishes to breakfast foods to desserts. Wild rice -- which is not actually a member of the rice family -- is native to North America and can still be found growing wild in the ponds and lakes of Wisconsin, as well as in neighboring states. If you're just starting to make meatless dishes, or you're having a hard time finding a variety of foods to prepare for Meatless Mondays, I urge you to branch out and try a few of these popular grains. They are all quite adaptable, healthy and inexpensive. 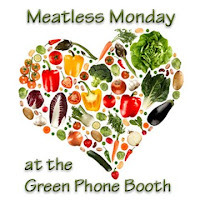 Remember to share your Meatless Monday recipe with us using Mr. Linky below. Post your name or blog name with the recipe in parenthesis and link directly to the recipe. Granted, it's made FROM grain, but isn't couscous just another form of pasta? You've totally inspired me to try quinoa. My kids don't like rice or pasta so I might as well branch out into other grains. Thanks for this roundup! @ehmeelu Good question. I'm sure it could be considered a pasta. It's made from semolina wheat. It definitely has more of a rice feel to me than pasta though. @Erin It's very much like couscous. I find it really versatile. Hope you enjoy! Thanks for sharing all this information! What do you think of the current trend toward fermenting grains before eating them? Some folks believe our tummies weren't made to digest grains, so advocate partially pre-digesting them through fermentation. So far, I've experimented only with oatmeal, and liked it kinda-sorta, but haven't taken the time to do it again. I actually like the wholeness of grains and would rather not have to ferment before eating. 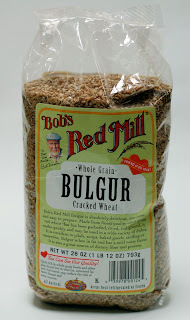 @Kathryn Grace ~ I haven't tried any fermented grains, but will have to read up on it for sure. I find the evolutionary aspect of this intriguing. Did people ferment them a thousand years ago? Have our bodies evolved to not handle them unfermented anymore? Hmm...sometimes I wish I was a scientist...or knew a scientist who could just give me the answers, lol. I finally gave up today and bought some parsley so we could make tabouli even though my parsley plant never quite thrived this spring. Another thing we do pretty regularly is cook hulled barley or whole oat groats in the rice cooker like brown rice, to put things on top of. Kellie, thanks for responding to my questions. Stephan at the Whole Health Source blog had a post about the history of fermenting grains here: http://wholehealthsource.blogspot.com/2009/01/how-to-eat-grains.html. He suggests the practice goes back thousands of years in African culture. Others I've read also claim that most ancient cultures, and even our own up until the last century, fermented much of their grain-food. Sourdough bread is one example. Sauerkraut, a favorite of my family for generations, is another, though not a grain, of course. We've been so slack about branching out and trying new grains, but this is a great roundup and great excuse to try some new things. Thank you for sharing! I adore Millet Grainburgers from a wonderful California-style local restaurant (WildFlour). Excellent review of grains, I'll keep a link handy for future reference. Couscous and wild rice are two of my favorites. My picky 18yo will eat both, too, so they must be good! As for pasta, my favorites are the rainbow kind, just for the fun value. I love making rainbow orzo and "hiding" grated zucchini in it! Quinoa is fabulous! The kids love it.